Service orientation has emerged as a new promising paradigm for enterprise integration in the manufacturing sector. In this article, we focus on the approach and technologies for constructing a service oriented manufacturing environment. The service orientation is achieved via virtualization in which everything, including machines, equipments, devices, various data sources, applications, and processes are virtualized as standard-based Web services. The virtualization approach is based on the emerging Web Services Resource Framework (WS-RF). A case study of virtualizing an AGV system using WS-RF is described. 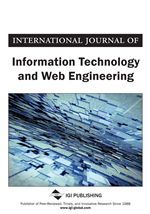 The use of Semantic Web Services technologies to enhance manufacturing Web services for a semantic-rich environment is discussed, focusing on OWL-S for semantic markup of manufacturing Web services and OWL for the development of ontologies in the manufacturing domain. An enterprise integration architecture enabled by Semantic Web service composition is also discussed.